We can definitely learn a thing or three from the 77-year-old, self-proclaimed democratic socialist. Bernie Sanders announced his second shot at the presidency of the United States last Tuesday. In 2016, he lost to the then-candidate Hillary Clinton in a close contest that pitted ‘big money’ against ‘big people’. Later it was discovered that the Democratic National Committee (DNC), the organisation that oversees the nomination of the Democratic party, had heavily favoured Clinton when they were supposed to stay neutral. This left a sense of unfinished business for Sanders’ supporters who felt cheated by the DNC. Big money won that time, but this time it’s different. After announcing his run for presidency, Sanders has been able to collect over $4 million in 10 hours from small donations sent by the people. There is a new sense of optimism in his campaign and Sanders is hoping to get a million volunteers to create the largest grassroots political movement in the US. Sanders believes that a politician can never work for the people if he accepts money from big businesses and large interest groups. For example, pharmaceutical companies. The United States has one of the most expensive medical drugs in the world. Comparing it to their neighbour Canada, the US charges three times more for the same drugs. This is because of the lobbying done by pharmaceutical companies that donate to politicians and keep the drug prices high. Our campaign is about creating a vibrant democracy with the highest voter turnout of any major country. We must restore the Voting Rights Act, overturn Citizens United, end voter suppression and gerrymandering, make Election Day a holiday and move to public funding of elections. In Pakistan, political parties do not publicly disclose their donations entirely. The money that is funding our politicians can come from anywhere and there’s no transparency. It could come from the tobacco industry that wants to lower regulation and it could come from large corporations who want lower taxes for their incomes. Pakistan needs campaign finance reform that shows the people who exactly is funding our politicians. Otherwise, we may unknowingly be helping out big corporations and voting for their hidden agendas that we may not support. Under Sanders’ policy, the United States would have free public colleges and universities that teach students without the pressure of student loan debts. The public education system in Pakistan is not the greatest. Brilliant students may never get to shine because of our lack of sufficient education policies or opportunities. As we know the state of public schools in Pakistan, one can only imagine the state of public universities in our country. One solution would be subsidising the fee of low-income students for existing universities in our country. That way we will have the benefits of private universities without the burden of it being run by the government. I’m running for president because we must extend the concept of public education beyond the 12th grade and make public colleges and universities tuition-free. Every young person, regardless of the income of his or her family, should have the opportunity to attend college. I believe this may be the most important policy that helps the country combat income inequality. With Sanders’ proposal to increase taxes on wealthy individuals and large corporations, countries can fight for 99% of the people, instead of just the top 1%. For example, the largest company, Amazon, pays $0 in federal tax. This will hopefully change greatly under Sanders. That's how much the Walton family of Walmart makes in a single MINUTE—more than the average Walmart worker makes in an entire year. Instead of austerity for working families and the poor, we need austerity for billionaires and massive corporations. In Pakistan, we are reducing the taxes for corporations and big businesses but are still increasing sales tax which affects the common people of Pakistan. The corporate tax is being reduced to 29% (2019) as compared to 35% (2012). The sales tax has increased by 1% during the same time (17% in 2019). This means the rich are paying less and the poor are increasingly paying a higher proportion of taxes in their income. These basic changes can help transform Pakistan and bring transparency to our elections, to our politics and help the people of this country. More policies such as free healthcare would reduce inequality and remove the burden off the poor who are being hit by sudden health costs. Focusing on climate change and renewable energy would reduce our reliance on oil and gas that has tormented this country for decades. Increasing the minimum wage could help transform the lives of the low-wage worker and help stimulate the economy. Low-income families spend more money on necessities, while the rich save their money in banks that only accumulate interest. Giving money to the poor through economic policies will help stimulate the economy and make it work for every Pakistani. For too long the power shift in Pakistan has been disproportionately in favour of the rich. Following Sander’s policies could help bring change to Pakistan and make it a country not just for the top 1% but for the rest of the 99%. However, when looking at the current political field that Pakistan has, it’s hard to personally distinguish between politicians, political parties and individuals who are running for government. If you watch closely and pay attention to the current political climate of Pakistani politicians, you will not see a battle of ideas or policies. Instead you will see a battle of personalities, and our choice (unfortunately) lies on who is the least corrupt politician. 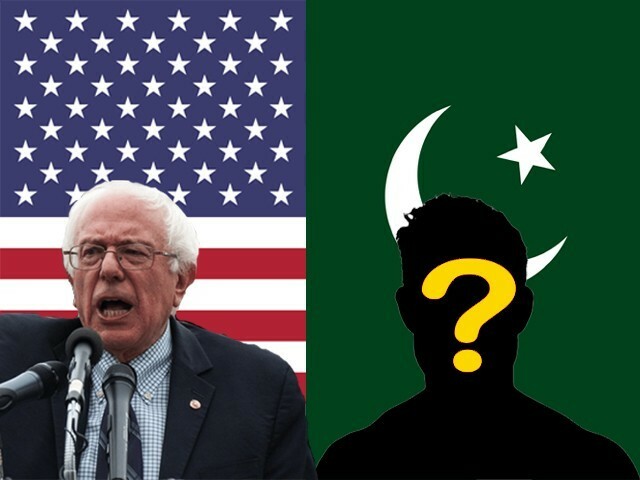 It might take time for Pakistan to find a real democratic socialist like Sanders but with the introduction of Pakistan Tehreek-e-Insaf (PTI) in the government breaking the two-party system, we can hope for new ideas and more options in policies in the future. 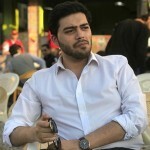 The author is a graduate in Entrepreneurship and is an enthusiast of world political affairs.